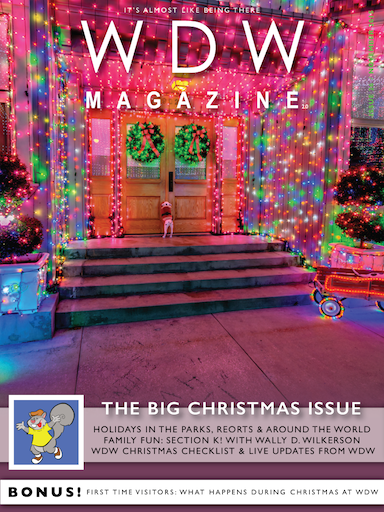 This is your source for live updates and extra information designed to enhance your experience of the Christmas Issue of WDW Magazine! Not a subscriber? Click here to get the issue! To get started, just look for the MagLive button on certain articles in the Animal Kingdom Issue of WDW Magazine – then find the color coded icon below that matches to find your bonus content! Don’t forget to check back often as we’ll post new information throughout October 2015, and beyond! Heading to MVMCP? Don’t miss the exclusive Sorcerers of the Magic Kingdom card featuring Olaf and the Snowgies! YourFirstVisit.net has a great review of the 2015 Mickey’s Very Merry Christmas Party! World of Walt thinks these 5 hotels are under appreciated… do you agree? These are the BEST RESTAURANTS at the WDW parks according to world of Walt. What do you think? love the Osborne Family Spectacle of Dancing Lights? Learn about their history here! Download the Nuts 4 Disney coloring page! Download the Gingerbread House coloring page! Download the Cross Word Puzzle! Check out these great Christmas crafts from The Photographer’s Wife: Baby’s First Christmas Tree Ornament, Pinecone Christmas Tree and DIY Felt Christmas Tree! Looking for the perfect gift for a Disney fan in our life? Check out our gift guide! We’re loving the new interview series in the magazine – have you checked it out? Did you enjoy meeting Kim in our meet the team section this month? 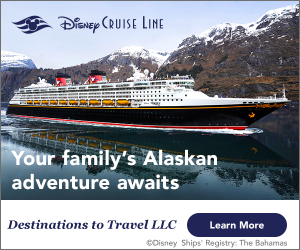 Check out a blog about why her family loves Disney! New mugs have landed at the WDW resort hotels! Fun and Free: four favors suggested by World of Walt! MORE CLOSURES – we’re not kidding!